Our property managers are experienced real estate lawyers that have been practicing law and managing properties for landlords in Redford & southeastern Michigan for over 30 years now. We use this wealth of knowledge and experience to make your life easier. Getting the rent to you is our #1 priority. Let our experienced property managers worry about collecting the rent so you can sit back and watch your account grow. Our property managers are real estate attorneys with over 30+ years experience in both property management and real estate law and offer their services at a very competitive rate. Property maintenance is an essential part of renting your property. See how our property managers make sure that your property is maintained to stay up to local building codes. Advertising & marketing your rental property is essential to ensuring you get quality tenants. Our property managers use several advertising strategies to market your property. Our property managers possess the knowledge and experience to make your rental property investment flourish. 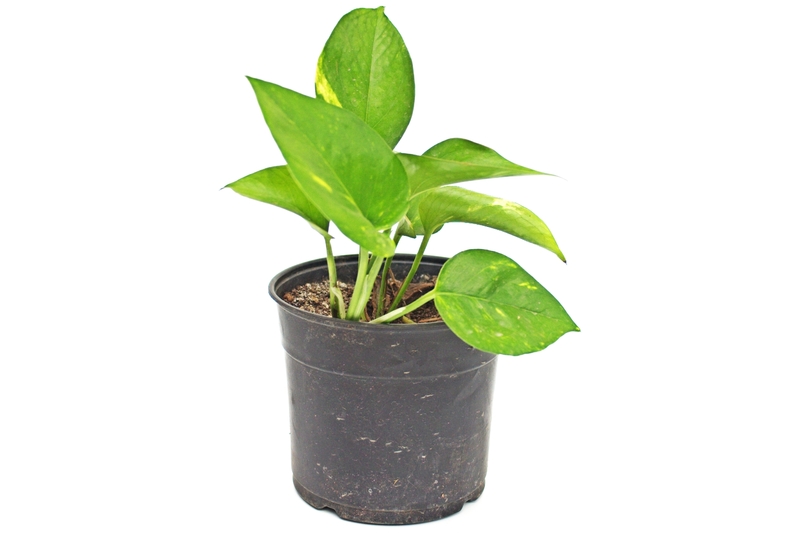 Don’t let your investment shrivel up and die. Allow our property managers to handle everything for you, making sure it turns into a money tree for you! A properly drafted lease agreement is vital for landlords to avoid tenant problems. Our property managers are lawyers who have been drafting lease agreements for over 30 years. Evictions can be tough for even a veteran landlord. Lucky for you our property managers are also real estate attorneys. See how they make evictions easy below. We will not trust your property to just anyone. Rest assured that we conduct thorough background checks on potential applicants. See how we protect your investment for you. hand written note from one of our owners. Just a note of appreciation for your services at the Wormer property. We are pleased and thankful. Keep up the wonderful work and working with the tenant…. 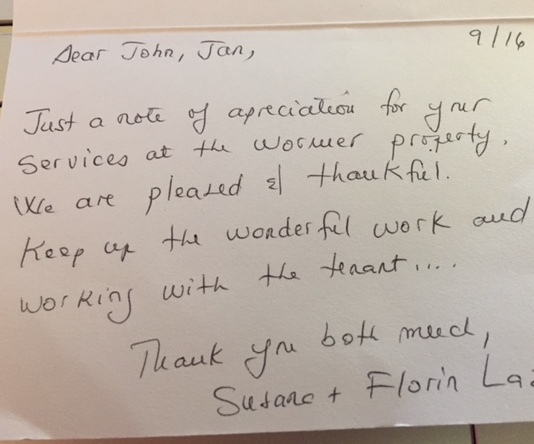 - Susana & Florin L.
Drop us a line anytime, and one of our experienced property managers will respond to you within 24 hours.